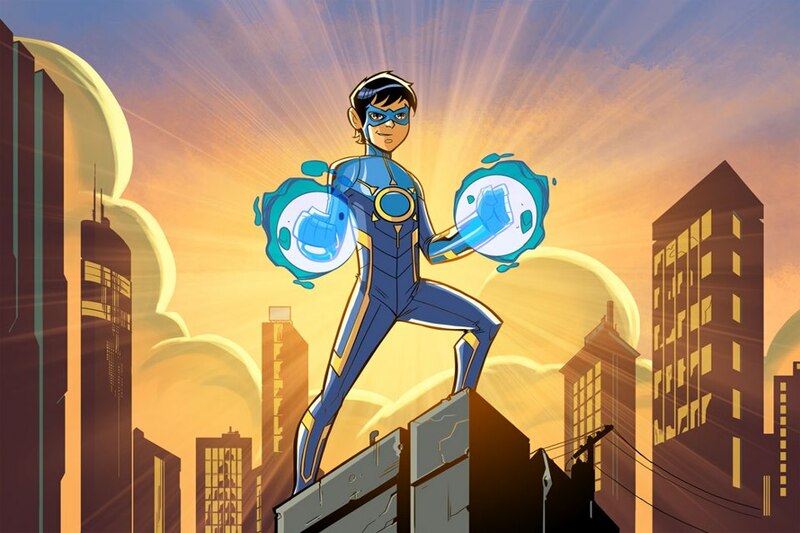 Stan Lee’s Indian Superhero ‘Chakra’ To Debut On Cartoon Network In South Asia!! Stan Lee is a legend when it comes to creating superheroes. X-men, Spiderman, Iron Man, Avengers and Thor are just a few of the characters he has co-created, or created outright. He revitalized the Marvel brand to the encompassing mega brand it is now. It stands to reason that if he touches it, success will inevitably follow. The man with the Midas touch. So it stands to reason that Cartoon Network, Liquid Comics, POW! Entertainment and CA Media’s Graphic India are collaborating to bring Chakra: The Invincible, Lee’s first ever Indian superhero, to television. The story of Raju Rai, a young Indian boy in Mumbai, that works with a mentor to create a suit that activates and harnesses the mystical chakras of the body so he can save the world from super villains is described by Lee as a “thrill-a-minute superhero saga”. The initial release is slated for an hour long TV movie on November 30th, with a potential of reaching 34 million households in South Asia. Chakra: The Invincible has the option to reach a more global audience as Angry Birds creator Rovio Entertainment launches the series on their ToonsTV channel. Graphic India co-founder and CEO Sharad Devarajan directed and executive produced the film. Graphic India has plans to use the character in a series of digital and print comic books and graphic novels. Jeevan J. Kang, SVP Creative at Graphic India, handled the visual development and created the character designs and art for the project working next to Lee and Devarajan. Earlier in the year, CA Media, LP purchased a large minority stake in Graphic India which is also owned by Liquid Comics. The company is dedicated on creation of mythological and superhero characters, comics and stories for the Indian youth market. They are known for publishing comics featuring Krrish, a superhero played by Hrithik Roshan in the power house movie franchise. They also have some projects in development in Hollywood: Ramayan 3392 A.D., The leaves and The Sadhu. What’s next for the 90 year old Stan Lee? I hope he’s with us for many more years and continues to create more superheroes that add to his brain child pantheon. This entry was posted on Thursday, October 17th, 2013 at 11:20 am	and is filed under Comics, News, Television. You can follow any responses to this entry through the RSS 2.0 feed. You can skip to the end and leave a response. Pinging is currently not allowed. « ‘Goodfellas’ Duo Prep Mafia Drama for Discovery Channel! !